CHICO-CA Nearly 130 gifted young artists from high schools throughout Butte County were honored at the 4th Annual BCOE Superintendent’s High School Juried Art Show and Reception at the Butte County Courthouse in Chico on March 1st, 2018. The elegant reception was attended by students, parents, educators, and other community members. Appetizers were served and created by the students of Priscilla Burns and the Pleasant Valley High School iHOST FCCLA catering class. The annual art show was organized to showcase the finest high school student art work in the county as part of BCOE’s Arts Education Initiative, designed to bring about a renaissance in arts education in Pre K-12. Each participating school was allowed to enter up to ten of their best student art works for judging in six categories. A panel of Butte County art community members judged the entries based on originality and creativity; composition and design; artistry and skill. The judges this year included Michelle Conn, Oroville Arts Commission, local artist, arts advocate, Pat Macias, president of the Northern California Art Museum, and arts advocate Linda Watkins-Bennet, Action News Now anchor & producer. 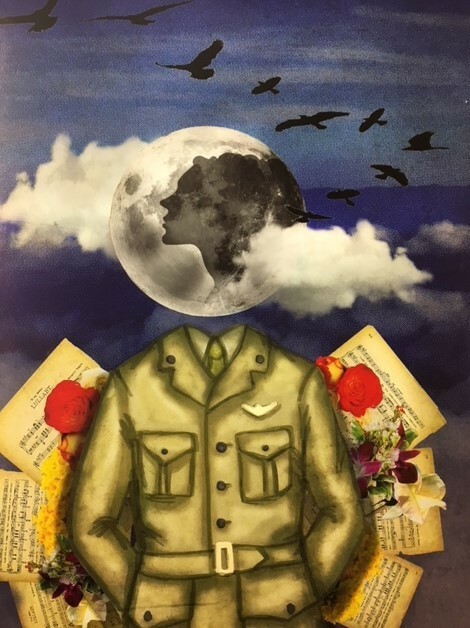 First, second, and third place awards were presented to the student winners in six categories: Pencil, Ink, and Charcoal; Paint and Pastel; Mixed Media; Digital Photography; 3-Dimensional Art; and Visual Arts Created with Digital Media. 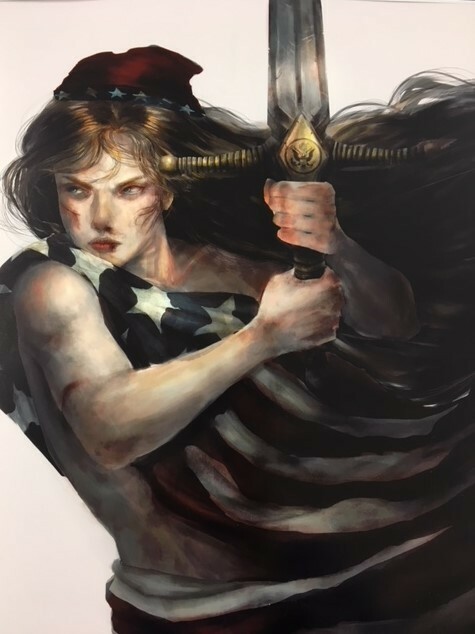 This year’s Grand Jury selected student art (to be displayed in their annual report) is: “I Am Columbia” by Isabella McMurry, 11th grade, Inspire HS. Congratulations to all participating students selected by their schools’ art department to be recognized for their commitment and focus on developing their artistic skills over time. Thank you to our outstanding panel of judges and to the following for their efforts that made the art show possible: Tim Taylor, Janelle Schindler, Gina Wilson, Jeanette Spence, David Tamori, Jarrod Orr and the staff at the Butte County Superior Court in Chico.